Is it possible to build your business online and reach more buyers even when you don’t sell through your website? There’s a lot of buzz about the shift towards e-commerce as a B2B essential for increasing revenue and succeeding online, but what if this approach simply cannot work for your business because you sell through a quoting process? The good news is that it’s certainly possible to generate more leads and revenue even if you can’t make an online shopping cart work for your business, but you must have an RFQ website design that gives you the capability to compete and efficiently serve more customers. Some companies are still using an RFQ feature that’s little more than a contact form. They offer to provide a quote, but as a website visitor clicks through to submit their request, they’re met with a blank comment space that requires they list out or explain whatever it is they’re looking for. Even if someone were to complete this tedious process, the submitted information isn’t always organized, which slows response time and delays the sale. If you want to make the search, specification, and request submission process easy for your visitors, and you want to improve your ability to turn that request into a closed sale, you need a robust RFQ manager and a well organized, easy to maintain catalog with an integrated quote request feature. This system enables your website visitor to search and sort through line items and product listings in a logical manner. They can then select products, quantities, and other details to add to their RFQ. They can even submit their technical drawings, spec sheets, and other digital attachments with the form. You’re then able to see their specifications clearly, in a standardized manner that leaves no uncertainty about what they need. You’ll be able to respond promptly so they can place an order quickly and you close a sale. This type of website feature is not far removed from an e-commerce based design. 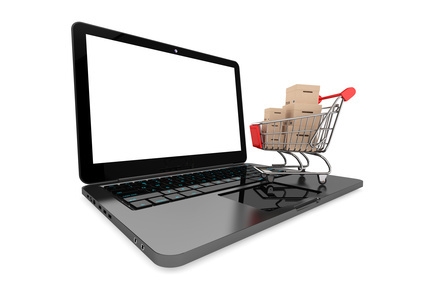 Internet users love it when they have to make a B2B purchase because it’s so similar to catalogs used for conventional online shopping, with the primary difference being an RFQ submission rather than a shopping cart and “place order” button. If you are ready to update your website features with a better RFQ and product catalog system, you’ll want to learn more about the B2B website platforms and development services that we offer. You can contact us to schedule an appointment and we’ll discuss what’s possible for your company.